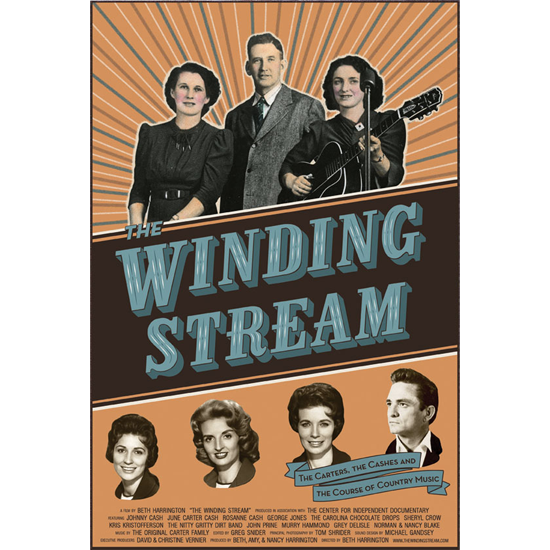 The Winding Stream tells the story of the original Carter Family and the mark they made on the history of American music. The film follows their career and legacy as it moves through several generations of musicians, both inside their family and without including rare footage of June Carter and the Carter Sisters and an interview with Johnny Cash. The saga is punctuated with studio performances by celebrated roots music practitioners like Johnny and June Carter Cash, George Jones, Rosanne Cash, Sheryl Crow, Kris Kristofferson and others.